Radford, Virginia-based artist Alison Pack’s work is based on telling stories through imagery that present stereotypes, misconceptions and clichés of womanhood. 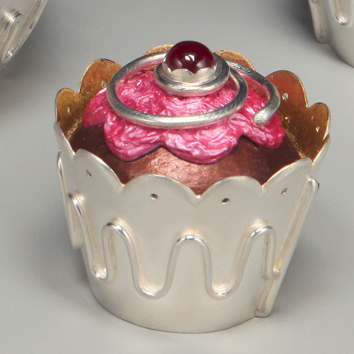 Her intimately scaled copper and sterling silver sculptures are created by the traditional metal working processes of shell forming, raising, fabrication and casting to create humorous fantasies referencing femininity and food. As a traditional southern girl, Pack was told that tools were considered inappropriate for a female. 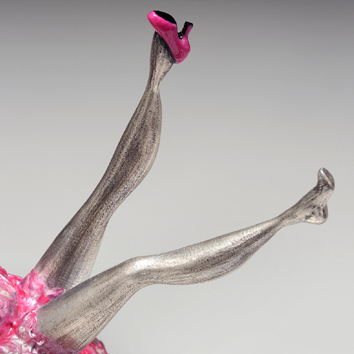 Ironically, the development of her hand skills through sawing, filing and forming proved to be powerful expressions of her femininity and sexuality as well as commemorative pieces enabling her to remember some of her life experiences. 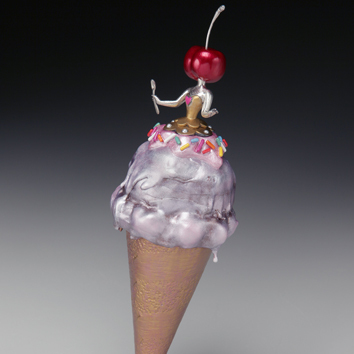 Combining sly humor and playful sensuality, Pack suffuses her metal sculptures with bright color using Prismacolor pencils and acrylic paints that allude to luscious surfaces such as fabric and cake icing. 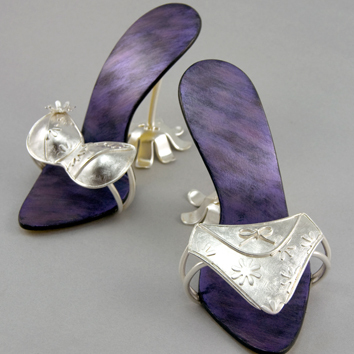 Alison Pack is an associate professor of metalsmithing and jewelry design at Radford University where she has been teaching since 2003. 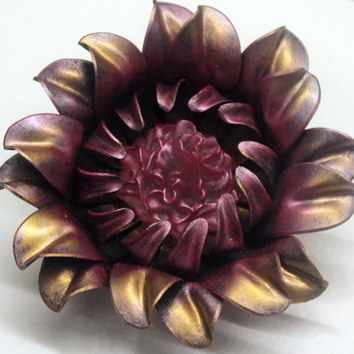 She received a BS in art education with teaching certification from Appalachian State University and an MFA in metalsmithing from East Tennessee State University. 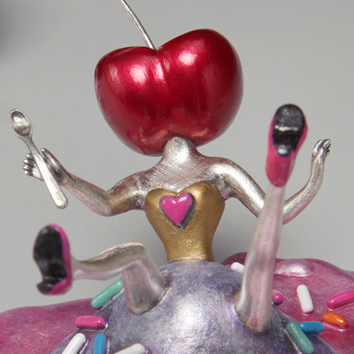 Her work has been displayed nationally and recently was featured in Refined IX Humor, the ninth Biennial Exhibition and Competition for Artists working in the metalworking and jewelry field, at Stephen F. Austin University. She received a 2016 Niche Award in the Holloware/Cast Category. Her work also has been featured in several books, including Humor in Craft, Art Jewelry Today 3, Art Jewelry Today 2 and About Art. 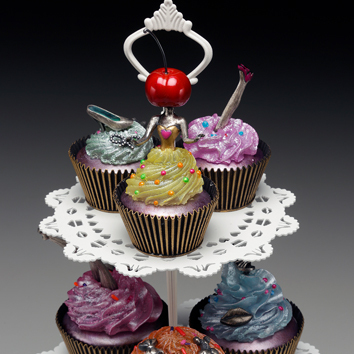 Alison Pack: Metal Delicious is curated by Amy G. Moorefield, Deputy Director of Exhibitions and Collections, and Eva Thornton, Curatorial Coordinator, for the Taubman Museum of Art. This exhibition is on view December 3, 2016 - June 15, 2017, in the David R. and Susan S. Goode Gallery.